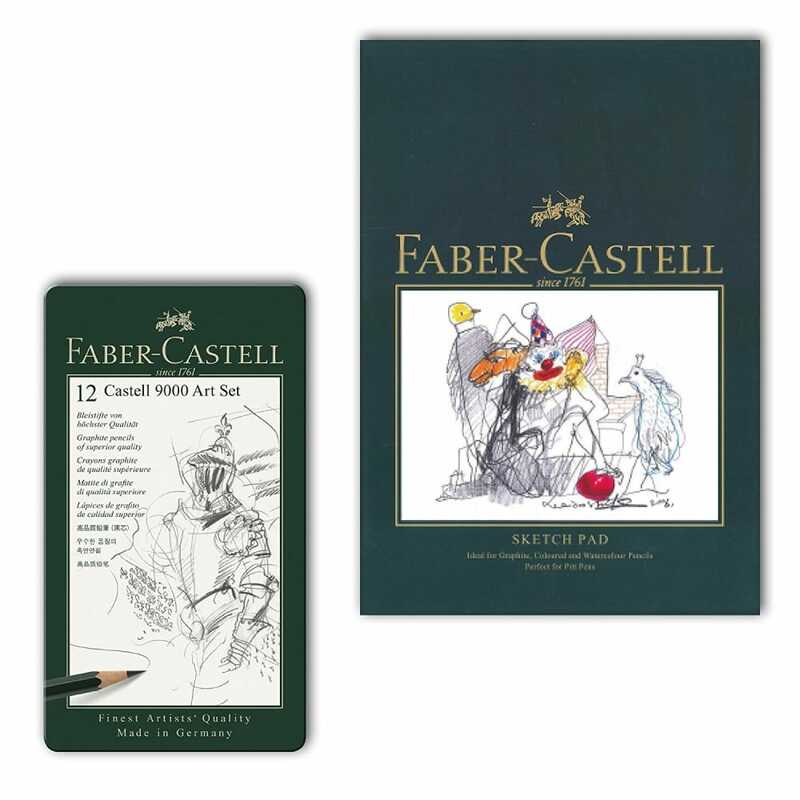 The Castell 9000 Pencil, created by Count Alexander von Faber-Castell in 1905, is a testament to Faber-Castell's highest standards of quality, technology and tradition. Castell 9000® Pencils have superior leads made of finely ground graphite and clay. These smooth pure graphite pencils are never scratchy and the tin comes with grades 8B, 7B, 6B, 5B, 4B, 3B, 2B, B, HB, F, H, 2H.